It’s travel time SAMELIA’s WORLD! Yours truly is excited… Who would not be excited! As the Summer travel season begins… It is time for the kids to get out of school, go to BBQ’s, the beach and vacation. SAMELIA’s WORLD I love the Summer… As it is soo much fun! Now, for everyone travel essentials may be totally different. The ideal essentials for yours truly, starts with my Nikon camera to capture special moments, beautiful scenery, friends and family. Then of course you need the ID and yours truly likes using my passports because it is universal. A licenses is fine passports are a preference. This Samsung galaxy may be old, but it is definitely has been well kept LOL! So with the right apps such as, “WHATs APP” this little phone keeps me in touch with my world. An to yours truly it is not the type of phone you have it’s the apps. So before you leave make sure you are connected. 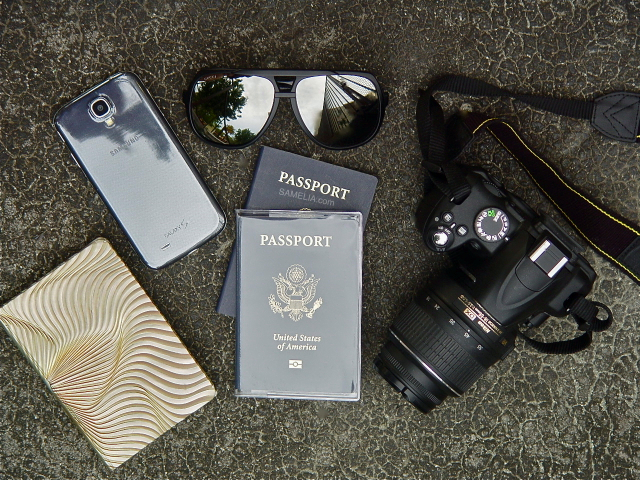 The are my Summer travel essentials… Pretty simple, but so important!